I came up with this quote ("Imperfect action is better than perfect inaction") when talking with a resume writer last week. (Note: A quick Google search indicates that Harry Truman said it first -- or, more likely, most famously.) It's something that I should post on my bulletin board, because it's easy to do nothing when faced with an obstacle of any type. It also applies to us as resume writers. When I recently put together my "Career Membership Sites Made Easy" program, I could have waited until the whole thing was perfect before launching it. But for a perfectionist (which I am! ), that day could be a long way off. Instead, I put together the written curriculum for the program, the accompanying step-by-step setup guides, and modified the November Pass-Along Materials LinkedIn report into lesson format so CMSME buyers had a ready-to-go curriculum to launch their first membership program. Is there a trade-off for going with "imperfect action"? In my case, yes. I decided to offer the first 25 resume writers who took a chance on this new program a substantial discount. When I reached that objective (we got the first 25 group members in about 72 hours), I decided to keep looking for "charter" members who would grow as the program grew. They can get in for a low price while I keep building the resources around the program (I'm doing a training webinar for group members next week), and a guide to driving visitors ("web traffic") to your membership program website. I didn't want to wait until the full system was done before I let in additional group members. The sooner you start on a project, the sooner you can start getting results. And results -- no matter how small -- are often what motivates us to take even more action. The most important thing to remember is this: Take one step to move forward. If you're thinking of offering a new service to jobseeking clients (like a job search support group or service, or interview training, or whatever), don't wait until everything is perfect. Launch, then improve. In the movie "We Bought a Zoo," Matt Damon's character says, "You only need 20 seconds of insane courage and I promise you something great will come of it." It may take more than 20 seconds, but you can do something great. Remind your clients of that too. Mari Smith gave me a great idea -- every year, she chooses one word that is her "theme" for the year. For 2011, her word was "Commitment." For 2012, her word is "Growth." I am going to take her idea and choose my own word for 2012. The word that kept coming back to me is "Abundance." I'm reading a great book, "Today We Are Rich," by Tim Sanders. It's the story of how having confidence can lead to success. The "Rich" in the title doesn't refer to money. And in my theme, "Abundance" doesn't refer only to money ... but also to a richness of faith, gratitude, and joy. The last few years have been tough for my family, but things are definitely turning around. I am looking forward to 2012. It's my goal to help resume writers bring more abundance into their resume business. It starts with the launch of "Career Membership Sites Made Easy." I'm going to be leading and coaching about 30 resume writers to bring passive income and recurring revenue into their business in 2012. More and more resume writers nowadays are taking full payment upfront from resume clients on their resume writing business websites -- and if you haven't yet taken that step, you've probably started thinking about it. If you are going to sell your resume services online, then you will need a way for those transactions to be processed. Choosing the right payment option is an important step. Here are some tips to help you find the right option for you. Hardly anyone deals in cash or checks with an online resume service. They are too unreliable. Clients want to get started right away, and waiting for payment in the mail takes time. And, there are too many steps to follow to retrieve your money should a check bounce or get lost in the mail. It is better to deal with credit cards. However, many prospective resume clients are wary of letting their personal information float around in cyberspace. What type of shopping cart do you have? Your shopping cart is the program that you have integrated into your website to register customer sales. Customers will be able to add to the cart, check to see a total, see descriptions and basically choose what they want to buy. The shopping cart records their choices. Decide on a payment gateway. A payment gateway bridges the gap between shopping cart and the credit card information that the customer will enter. Some third party merchants charge a fee for each credit card processed. With a gateway you still need a merchant account, but you can avoid these unwanted fees. The one thing to remember is that all payment gateways are not compatible with all types of shopping cart programs. Before installing your shopping cart program, check to see which payment gateways are compatible with each so you donít have to change midstream. Ask questions.What most customers look for is verification on your site that your payment gateway is secure. They want to be sure that their information will not fall into the wrong hands or be sold to a third party site. You can assure them that they are safe by checking your payment gateway for AVS protection to prevent fraudulent transactions, and that it is PCI-compliant -- which ensures credit card information is protected. Perform a test transaction. Once you have set up your shopping cart and payment gateway, check to be sure that it is up and running 24/7 and accurate. Go through the process as one of your customers would. Check admin on both the shopping cart and the payment gateway to see that everything was logged properly. Also, check your credit statement to be sure the transaction went through correctly. Choosing the correct payment option is important to the growth of the resume services you sell online. In yesterday's blog post, I wrote about time management strategies, and I mentioned a task management application I use called "Wunderlist." I thought I'd share some of the other tools and apps I use in my resume writing business (and to manage Resume Writers' Digest). I'll focus just on the ones on my iPhone for today, and I'll take it alphabetically, just to make it easier. Facebook for the iPhone. Although I most often update my Resume Writers' Digest, BeAResumeWriter.com, and Leveraging LinkedIn For Your Job Search Facebook business pages via my laptop, it's nice being able to check in on them from my iPhone when I'm out and about. I have Facebook notifications set up so I get "pinged" when someone comments on one of my page posts. iCal. This is the basic Mac calendar app, built into all Mac products. I use iCal to remind myself of key client project deadlines, reminders for phone consultations with clients, and training events, like teleseminars and webinars. (You can also set reminder alarms in iCal.) When I sync my iPhone to my MacBook, it updates the calendars both ways, so if I put an event in my phone, it updates my MacBook calendar too. iTunes. Another tip from "Write Great Resumes Faster" is writing to music. Sometimes this works for me, sometimes it doesn't. It depends on the kind of writing I'm doing. I don't very often write resumes to music, but I do write a lot of blog posts and articles to music. Also, I have different kinds of music I like to write to. 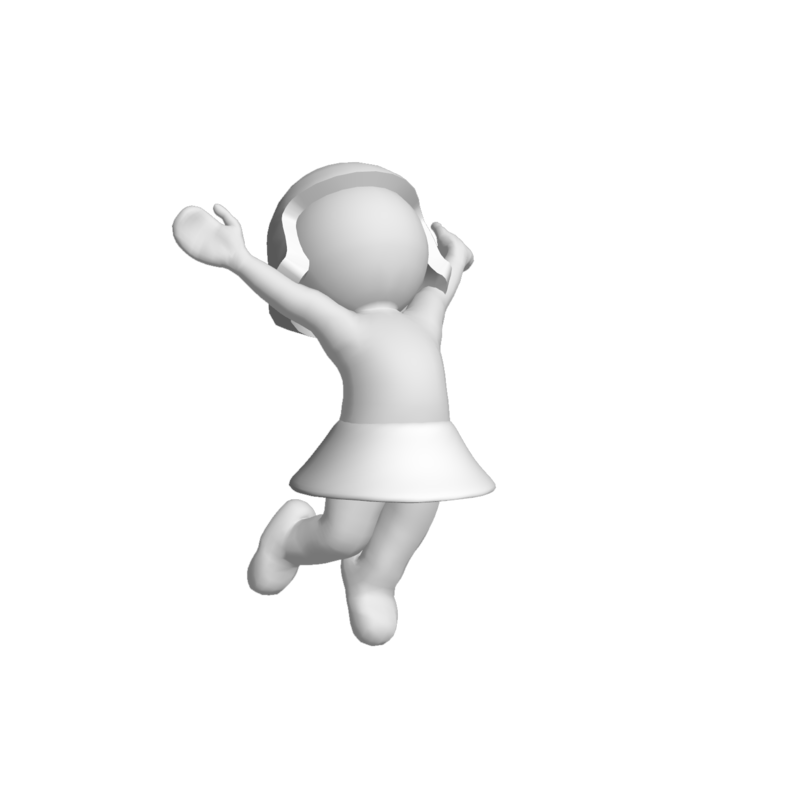 I have a "Rockin' Playlist" on iTunes that includes Lady Gaga and Pink, but -- especially at this time of the year -- I love listening to Mannheim Steamroller and Trans-Siberian Orchestra. PayPal. I love the PayPal iPhone app. I've integrated several passive income and recurring revenue streams into my business (special reports like "Write Great Resumes Faster," and "Making Money as a Resume Subcontractor" and my membership site for resume writers, BeAResumeWriter.com). All of these are linked to my PayPal account, so when someone makes a purchase, I get a notification on my iPhone. It's almost addictive hearing that little "ping" when I've got money. SimplyNoise ("The Best Free White Noise Generator on the Internet.") This is a new addition to my iPhone app collection in the last few weeks. My husband and I usually sleep with a fan on for the noise, but lately, the fan has been making a rattling noise, making it a distraction, instead of a sleep aid. I found the SimplyNoise website online and started off using that as a fan substitute, but then I found that there was a web app version ($.99). As I mentioned on this LinkedIn Career Thought Leaders Consortium group post about writing resumes, sometimes white noise (there is also "pink noise" and "brown noise" -- you have to check it out to hear the difference) can help you focus your resume writing and drown out "life's distractions." So there you have it. My top apps and tools that I have on my iPhone that I use in my resume writing business. I'd love to hear what your favorites are...share your comments below. I love working from home. But time management is a big issue when you're a resume writer who works from home. When I talk with people who don't work from home, they always make comments like, "I wouldn't be able to work from home ... I'd find it too tempting to just sit on the couch all day and watch TV." If you're like most work-at-home resume writers, though, you'll find that the opposite is often the problem. It's too tempting to work all the time! I mean, here it is, 6:35 a.m. on a Tuesday morning, and I'm writing a blog post. I should be sleeping. When I come home after being out (whether that's seeing a movie, running to the post office, or going to a hockey game), the first thing I do is check my work email. If you're a work-at-home resume writer, you probably do the same thing. Working from home as a resume writer can be a great thing -- as long as you learn to handle one issue: your time. Time management is very important in any business, but especially when you are working from a home office. Keep an open mind and read the following information. Calendars may seem "old school" but they are still the best way to make sure you're not sacrificing your personal life for your business. Keeping a large calendar in the kitchen, for instance, gives each person in your family opportunity to record their events so that nothing is forgotten. Also, create blocks of time for different activities. Don't forget to schedule fun time! Be flexible, but still commit to a certain amount of time each day to run your business and also to spend time with family commitments. You don't have to finish every task each day. Set a list of priorities and then take steps to finish the most important jobs first. First thing in the morning, determine what you will focus on for that day. You don't have to schedule every minute of your day, but a level of time management will keep your daily life organized. I use a great tool called "Wunderlist" for keeping track of my "to-dos." It runs on my MacBook and syncs with my iPhone app. It even sends me an email message when I have "overdue" items. Plus, you can "check off" items when you complete them. I LOVE that! As resume writers, you wouldn't think that we would have any issues coming up with content ... but some of my most popular blog posts recently have had to do with content! From planning your content to monetizing your content to writing better content to finding time to write content, readers of this blog like tips about content. I'm happy to oblige with today's blog post, which focuses on inspiration for your content. So here you go -- seven ways to find content ideas. And so on. It's a great way to come up with quick and easy content ideas (a headline for a blog post, for example). 2. Visit your favorite blog and expand on their latest blog post. Or better yet, comment on the latest blog post and then write or blog about your comment. You can use it to generate traffic to your site and provide new and valuable information to your audience. 3. Watch the national news for 10 minutes. Chances are youíll see something that relates to you. You can use this news story to generate ideas for your content. For example, a news story about the job market might lead you to write a tips-oriented article for job seekers. The news, while sometimes depressing, can also inspire great, and timely, content ideas. 5. Celebrity Watch/Pop Culture. Celebrities provide an abundance of entertainment for society. We watch what they do, who they do it with, what they wear, what they eat and where they live. You can also find inspiration from pop culture -- music, movies, television. 7. Review a book, product, or service. If you're stumped for content, reviews are always appreciated by readers. Review resume writing books (use your Amazon affiliate link); review resume distribution services (ResumeSpider has an affiliate program); review reference checking services (Allison Taylor has an affiliate program). Reviews provide valuable information and they give you an opportunity to earn an affiliate income. Writer's block -- or content idea block -- will happen to you at some point. Don't let it derail you! Look around you for insight and inspiration. And to prevent it from happening, keep a notebook with you to jot down ideas as they come to you (or write yourself a note on your smartphone)! A resume writer asked me yesterday about attending a professional conference. I believe that professional resume writers should be committed to their continuing education, and conference attendance is a part of that. I've attended a half-dozen conferences over the years, although it's been several years since my last one. I'm hoping to attend at least one in 2012. With the cost to attend a professional conference now averaging $1300 ($400 registration fee; $350 hotel; $325 transportation, $125 food/beverage, $100 miscellaneous) -- not to mention income lost from being out of the office, you want to choose your conference wisely. Program: Is there a topic or program in particular that interests you? Review the conference program outline and decide which sessions you'd like to attend. Is there a particular area of your business or services that you want to learn more about? (i.e., LinkedIn profile development? Writing federal resumes?) See if there is a conference offering training on that subject area. Organizer: Which organizations are you already a member of? As a member, you'll get a discount on their offerings. However, consider if you're going to get new ideas or information from this organization? If you’ve been participating in their other programs/offerings, you may find that the conference offers “more of the same” instead of new ideas and information. Location: How easy/hard is it to get there from here? This can also be a factor in the cost. Can you drive? Flying? Airline travel can be unpredictable nowadays, so allow plenty of time to get to your destination in the event your flight is delayed or rescheduled. Networking Opportunities. One of the strongest outcomes of conference attendance is the people you will be able to meet and connect with. Evaluate the speaker roster — are these folks within the industry who are sharing their expertise? How new is the information they are sharing (have you seen them presenting on this topic before at other conferences)? Then, consider the attendee roster. How many people typically attend the conference? What is the makeup of conference attendees? Are these the folks you want to connect with? For example, you might find that for one conference, attendees are 25% self-employed professionals, 20% military transition specialists, 40% career office staff (either government or educational institutions) and 15% “other.” Another might be 55% self-employed professionals, 30% career office staff, 10% military transition specialists, and 5% “other.” Consider who you want to connect with! One of the best strategies for success for your resume writing business is to be a specialist, not a generalist. I've written about targeting a niche numerous times on this blog, but it's a topic that can't be examined enough! The question of who to target with your resume writing services is one that shouldn't be skimped on. It will affect everything else you do and can determine your success or failure with your resume writing business. Finding the perfect niche involves weighing a lot of different factors to find the perfect one. Here's how to find the perfect niche. Start by brainstorming as many niches as you can think of. Get out a note pad and jot down ideas. Once you run out of ideas to jot down from the top of your head, go to Amazon.com and browse some of the different magazine and book titles. If there's a magazine for it, chances are the market is big enough to support a website. Jot down more ideas, then head over to eBay Pulse. Again, browse the categories and products that are selling and see if those spark any ideas. Keep brainstorming for a few days to get all the ideas down on paper. There's generally a trade-off between ease of ranking and profitability. In other words, if there's a lot of money to be made in a certain market, chances are it's going to be fairly competitive. One example is executive resume writing. While writing executive resumes can be lucrative (generally, these command fees from $400 up to $1500+), there is a lot of competition in this market. There is less competition if you segment this further -- for example, women executives, or manufacturing executives. For most resume writers, the goal is to find a niche market that has profit potential but isn't too difficult to attract prospective clients. One way to determine your online market is to evaluate online traffic for the niche. Start by using the Google Keyword Tool to evaluate how many searches your keyword(s) get. Then head over to Google, type in the keywords, and take a look at the top results. Which resume writing sites are ranking for those keywords right now? Check their PageRank and backlinks using Bing Webmaster Tools. The lower the PageRank and the fewer the backlinks, the better your chances of ranking. Once you've checked out the search engine competition, evaluate how much money there is to be earned in the niche. After this process, you should have a few potential markets with relatively low competition that have high profit potential that you can target. Once you have a few potential markets to get into, it's time to look at your own resume writing passions. Which market(s) hold the most interest for you, personally? Remember that you're going to be working with these clients, so even if it's a lucrative market, if you don't want to work with these type of clients, do NOT choose that niche! Be sure to choose a niche that has both profit potential and personal appeal. After publishing an article about Search Engine Optimization (SEO) strategies in the Fall 2011 issue of Resume Writers' Digest, I've been getting more questions from resume writers about how to get traffic to their resume website. First, a caveat. You're not Amazon.com. You don't need 10,000 visitors to your website each week. If you need 3-5 new clients a week, you probably only need 100-200 qualified visitors to your site weekly. If you can get 10-20% of them contacting you (10-20 calls or emails a week), you can convert a quarter of those into clients. So keep in mind that those "traffic fuel" or "traffic explosion" courses aren't necessarily a good investment of your time or money. They're geared at driving tens of thousands of visitors ... and can be costly, or contain potentially questionable tactics. Getting other websites to link to yours is perhaps the best way to increase the amount of traffic you receive over time. Not only will you gain more traffic when people click on those links and come to your site, but as more websites link to yours the ranking of your website will improve on Google and other search engines (which will lead to additional traffic). First off, see what sites are already linking to yours. You can check this with Bing Webmaster Tools. You can also do a quick search on Google for link:www.yourdomain.com. It's important to recognize that proper link building takes time -- but this shouldn't scare you away from the process. In fact, it should probably be viewed as a positive. Rather than disrupt your other business tasks by requiring you to focus exclusively on building links for a day or week or more, proper link building will require you to dedicate a small amount of time to the process on a regular basis. Ten minutes a week is sufficient. The first step is to identify where you want to build your links to. Do you want to build traffic to the home page of a your resume business website, to different articles (or a blog) within your website, or to some other online presence -- might be your Facebook page, your Google+ profile, or even your LinkedIn profile. One of the best ways to build links is organically. To do this you need to become active on other websites that relate to your business. Identify the blogs and community websites that have active discussions and to which you can substantively contribute. When you're commenting or making other contributions, avoid the temptation to promote your resume business or resume writing services directly -- a "soft sell" approach is usually more effective in the long run. Just being available to answer job seeker questions is a good idea. Whatever your strategy, make sure your links go to a page that exists (and will exist into the future) on your website. This is important because if you change the way that you structure your website, the URLs or web addresses for your existing pages might change. The last thing you want to happen is for someone to click on a link to an article on your site, and instead get a "File Not Found" error. Chances are they won't make the effort to try to find that article by searching your site -- they'll simply leave your website. If you do restructure any of your websites, or switch to a new blogging platform, then make sure that you have redirects in place so that old links will be forwarded to the new location automatically. Also make it easy for your readers to share links to your website by ensuring that each page of your website has appropriate "Share," "+1" "Like" and/or "Retweet" buttons for Facebook, Google+, and Twitter (and any other sharing buttons for other social networks). Finally, you can also generate links by writing articles for sites like ezinearticles.com and including a link to your website or blog in the "resource box" at the end of the article. Note: Do NOT even consider services that offer to sell you dozens, or even hundreds or thousands, of new links to your website. Many times these links will come from spam websites or spam blogs that will generate very little (if any) quality traffic. Plus, it won't take long for Google and the other search engines to recognize the "spammy" nature of these link farms, so there is a distinct possibility that your web site ranking will actually be punished if you are listed on too many sites. Buying links is a no-no. But by taking just a few minutes each week to post on websites, commenting on blogs, and writing and posting unique article content, you'll be able to grow a nice stable of links to point to your website. Not enough resume writers, in my opinion, understand how to integrate affiliate marketing into their businesses. Affiliate marketing has two major advantages for resume writers. First, it allows you to generate passive income -- you simply recommend products that you think may benefit your resume clients, and if they purchase them, you earn a small commission. Second, all of us get inquiries from prospective clients who never end up buying from us. Yet, many of them would still be receptive to hearing from us occasionally about information that might help their job search. Integrated with these messages can be affiliate marketing offers, for things like reference checking services, resume distribution, interview coaching training systems (if you don't provide it), salary information services, etc. Here are some tips to help you get going with affiliate marketing. Read about affiliate marketing. A good affiliate program will offer help for their affiliates, including education on tools and marketing strategies for their success. Be sure to read the training emails provided by the business too, as they'll often have ideas and tools to help you roll out your affiliate marketing program. Choose a product that you believe in. Don't base your choice of programs on money. Yes, there will be many lucrative programs out there, but that is not the only way to go. When you promote a product that you can get behind, then your customers will learn to trust you and be more likely to buy or click on your site. Be honest with your customers. Let them know that you are an affiliate. (Disclosure is required by law!) You can do it with something as simple as a statement that says, "I am an affiliate for [name of company.) This won't turn them off if they see that you use the products yourself and believe in them. You can be an active, effective affiliate for career-related services. You can even start today. Use these tips to help you choose the right place to begin. Guest Post: Are You A Smartie? Many of you may have heard of S.M.A.R.T goals, but as we approach the beginning of a new year, I thought it would be good to have a little refresher on the concept. SPECIFIC — You goal must be specific. Not only because it has a greater chance of actually being accomplished, but it's much easier to know when you've reached your goal if you know exactly what it is! When: When will it be finished? Which: What are the key requirements in order to succeed? And what are the significant obstacles? MEASURABLE — Establish concrete criteria for measuring progress toward the attainment of each goal you set. When you measure your progress, you stay on track, reach your target dates, and experience the exhilaration of achievement that spurs you on to continued effort toward reaching your goal. ATTAINABLE — It's fine to "shoot for the moon" as a way of pushing yourself out of your comfort zone (see the Quick Tip below). But you want to make sure that your goal can actually be accomplished. It's fine to make it a bit of a "stretch" though. Even if a goal seems out of reach, as you take each necessary step to attain it, you begin to develop the attitudes, abilities, skills, and financial capacity to reach your goal. And those goals will become more and more attainable as you grow to meet their challenge. REALISTIC — Some people get stuck here because when they are setting a goal that is beyond their reach, they start to feel that it isn't realistic. But most of the time, that is just a limiting belief. A realistic goal is one that you are completely motivated to work and strive for and that you truly believe can be accomplished. In addition, it is a goal that others have actually achieved and therefore you can even model the steps they took to get there. A goal can be both high and realistic at the same time. Not only that, high goals are frequently easier to reach than low ones because you are motivated by something that is truly meaningful to you and gives you significant forward movement. TIMELY — Any goal you hope to achieve needs to be within a timeframe. "Someday" never comes, and ASAP is too nebulous and impossible to measure. The minute you set a concrete timeframe — "by July 15th" or "by the first day of school" - your unconscious mind is already beginning to work toward that end goal and you have created a sense of urgency that will help you work at the top of your game. Wendy Enelow and Louise Kursmark have just published the third edition of "Expert Resumes for Managers & Executives." A powerful, performance-based resume is key to landing a great management position. This book features a collection of 100+ professionally written resumes and letters for all levels of management, from front-line supervisors to top-level executives, and everyone in between. The third edition has been enhanced with updated resume samples, a resume questionnaire/worksheet for documenting experience and accomplishments, an appendix of resume power verbs, details on online resume preparation, and so much more. I highly recommend the "Expert" series of resume books for resume writers to add to their personal reference/inspiration library. Details: 304 pages, published by JIST. List price: $17.95 (available on Amazon.com for $11.96 plus shipping). Thanks to Kathy Hansen of Quintessential Careers for sharing this message, which announces the end of VisualCV. 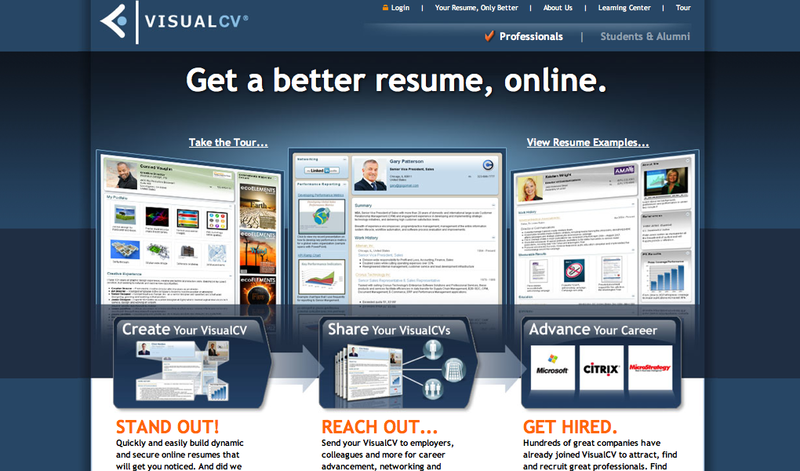 We regret to inform you that the VisualCV.com website will be ceasing operations, effective December 30, 2011. 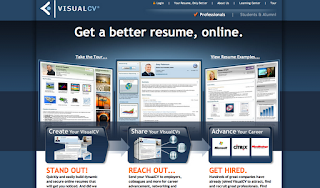 Since our launch almost four years ago we've been gratified by the response to VisualCV, and how it has enabled thousands of professionals to better represent themselves online. Even more importantly we have been delighted to see VisualCV help people secure significant new career positions. However, we have been unable to turn the site into a viable, self-supporting business and therefore we reluctantly made this decision. We recognize that many of you need time to recover your resume data from VisualCV -- which is why we are providing you with thirty days' notice. We recommend saving a PDF copy of your current VisualCV. You can easily do this by clicking on the button on the bottom of the page you see when viewing or editing your VisualCV. We also recommend you separately save any images, videos or documents in your portfolio that you do not currently have stored somewhere else. To ensure we meet all our members' privacy concerns, we will destroy all user data once website operations have ceased. This includes any and all backups we have. As a result, once the deadline has passed it will not be possible for us to recover any member data. You can be assured that we will not be providing any user data to third parties of any kind. We will be contacting the small number of paying customers that still have active subscriptions to arrange a prorated refund for the months remaining on their annual subscription. Thank you for all your support over the past four years. We wish you well in your future career endeavors. This is the fifth in a five-part series on developing a membership site for your careers industry business. In yesterday's post, I pointed how that there’s a truckload of profits waiting for you on the back-end of your site. That is, you can make extra money by offering more products and even more expensive complimentary products to your members. Today's blog post is about creating a family of membership sites. As mentioned yesterday, one option for additional revenue is to be an affiliate for related products and services. The better option is to create these products yourself. That way, you keep 100% of your profits. You might suggest your "CFO Success Strategy" members also enroll in your "30 Days to Your New Job" membership site for daily motivation in reaching their career goals. While you’re planning your first membership site, you should also simultaneously plan what complimentary products you’ll sell on the back-end. And one way to make money on the back-end is by creating a family of related membership sites and linking them together. Tip: The advantage of creating a family of sites goes beyond merely having something to sell on the back-end. A family of sites also helps you develop your brand and grow your brand recognition. And that means more sales, more customers, and more profits. Now let me give you a few examples of how you can create a family of membership sites around your resume business. You can create a membership site around a specific service offering -- for example, an eight-week program on "Getting Started Using LinkedIn In Your Job Search." A general job seeker support membership program is a "30 Days to Your Next Job" program, offering daily motivation and specific ideas. A 12-week program outlining 12 specific tools for the job search -- identifying websites and online tools that are useful for jobseekers. A yearlong membership program, "One Year To Your New Career." When you’re building your first career membership site, ask yourself: What ELSE do my customers want? Do your market research to find out what other products they’re currently buying. Then create a family of sites around related topics. It’s the quick and easy way to tap into the back-end profits… on autopilot! If you've found this series of articles interesting, check out Career Membership Sites Made Easy, a new system that shows you how to create and launch your own fixed-term membership site in under 48 hours. This is the fourth in a five-part series for resume writers on how to develop a career membership site. When you first thought about starting a membership site, you probably spent at least a little time crunching the numbers. You did calculations like this: If you have 100 members each paying you $10 a month, that’s $1,000 per month. Or if you open multiple membership sites, charge $27, and get 200 members, that’s $5,400 per month. Or maybe your goal was 500 members across one or more sites, each paying $19 per month, which puts $9,500 in your pocket. Think those numbers are unrealistic? Most resume writers work on three resumes a week; that's 150 prospective customers for your new membership site. And the great thing about membership sites is that they're not just for your existing customers! They can be purchased by any job seeker -- so you might have another 150 people who visited your website but didn't purchase resume services, but who enroll in your "30 Days To Your New Job" fixed-term membership program! Chances are, however, you stopped your financial calculations when you figured out that front-end figure. But here’s the thing: That “final” figure only tells half the story. If you’re only taking into consideration your front-end profits, you’re leaving a lot of money on the table. You see, some of the easiest money you’ll ever make is by selling more products (even more expensive products!) to your existing customers on the back-end. Consider this: If you put up a good sales letter for your membership site, you may convert anywhere from 2% to 5% of your visitors. So if 100 people walk through your virtual door, two to five of them will become members. Now let’s say you have 100 members paying you $10 per month (that’s $1000 per month). These 100 members are going to be open to your other offers, meaning you’ll likely convert in the double digits. So perhaps you offer these 100 members a $27 ebook – you may find 20% (20 members) taking advantage of the offer, which puts an extra $540 in your pocket. With just one offer you boosted your income by 50%, simply by selling a product to your existing customers! Now imagine if you did this with 500 customers… 1000 customers… or more. You can see the possibilities! Now, in order to tap into these back-end profits, you need to offer something that complements -- but does not compete with -- your membership site. One of the best ways to do this is to recommend related products from within each lesson. That is, you tell your members where to get more information on a topic that you’re not covering in depth. If your membership site ("30 Days To Your New Job") mentions working with recruiters, you could also refer your subscribers to your ebook on "Working With Recruiters in a Job Search. Another way to make money on the back-end is by recommending that your members buy a specific tool in order to complete a task. These can be affiliate links (be sure to disclose this!). During the lesson on planning your job search, you may recommend that your readers purchase a subscription to JibberJobber. You’re teaching people how to secure a job interview. You recommend they purchase an interview-preparation product ("Job Interview Answers") to ensure they're ready for the interview. Your membership site targets those looking for pharmaceutical sales jobs. You might mention a rental mailing list targeting pharmaceutical sales executives to help target unadvertised opportunities. There’s a fortune that lays hidden in the back-end of your membership site. You can tap into this fortune by regularly making related, complementary offers to your existing members! In tomorrow's blog post (#5 of 5! ), we'll ask the question, "What else do your customers want" and use that information to create additional membership sites.